Greg Bonham has thrilled audiences from Las Vegas to London. His polished, high-energy performance is tempered by a quiet confidence and Aussie charm that sets him apart from all of the others. 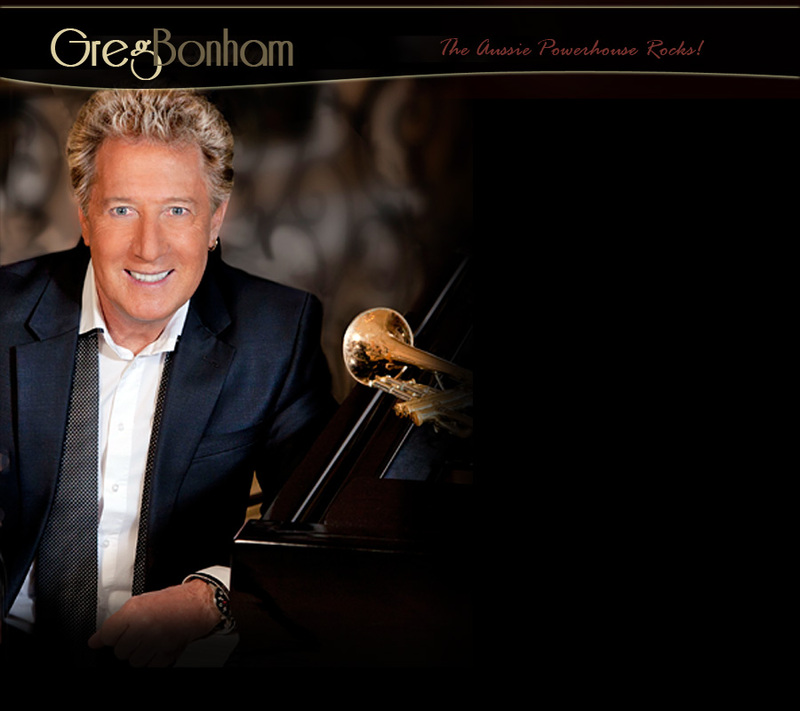 Greg's dynamic show, featuring his powerful voice, superb trumpet playing and original songs has established him as an international headliner. But it all started a world away from the bright lights for this country boy. At the age of 11, Greg was leading the ‘family dance band,’ with his 2 brothers and 2 sisters, gaining invaluable experience…preparing him for what was to come. A television talent contest called “Showcase” brought Greg into the national spotlight. At just 16 years old he took home the grand prize and his career was off and running. He won the hearts of Australia, plus the attention of the major Sydney booking agents. He soon left the farm behind and became a professional entertainer in Sydney and throughout the country. With over 150 national television appearances, recording success and countless club engagements to his credit in his homeland, Greg yearned to ‘make it’ overseas. With his wife and young daughter he headed of the England, to try his luck in the International market. He stormed audiences throughout the UK for six years, scoring his own TV specials with Southern Television and became a ‘hit’ in Eastern Europe…. selling an incredible 14 million records in Russia. The fresh-faced Aussie, with his unique talent and style, caught the eye of Merv Griffin and Greg appeared on his TV show three times. He soon became the opening act for the stars, including Jay Leno, Don Rickles and Joan Rivers. Greg's career was off and running. Now he is a headliner in Las Vegas and Atlantic City and a favorite entertainer for corporate America. The Aussie Powerhouse has arrived!